How the Jews in Elephantine, Egypt Celebrated Passover in 419 BCE. DO YOU HAVE TO BURN YOUR HAMETZ? IS WINE CHAMETZ? 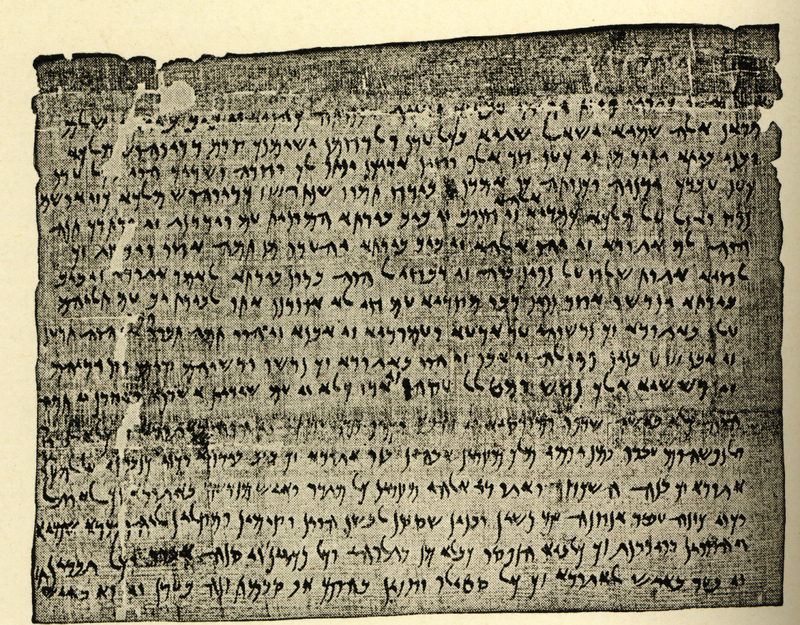 The papyrus known as THE PASSOVER LETTER from the Jewish military colony at Elephantine 1 (yeb), ancient Egypt, circa 419 BCE. YDNYH WKNWTH HYL’ YHWDY’ ‘HWKM HNNYH ŠLM ‘HY ‘LHY’ YŠ’LW 2 Yedaniah and his colleagues of the Judahite garrison, (from) your brother Hananiah. May the gods seek the welfare of my brothers. YWMN ‘L YTHZY BKM ‘L THNcLW BTWNYKM WHTMW BYN YWMY’ ‘LH 9 days, let it not be seen among you; do not bring it into your houses, but seal it up during those days. KN YTcBD KZY ‘MR DRYWHWŠ MLK’ 10 Let this be done as King Darius commanded. Some contemporary Karaites (like Hakham Avraham Qanai) maintain that this document constitutes clear proof , documentary evidence, that at the time of the last Nevi’im (prophets) alcoholic wine (שכר) ‘was considered Hames (חמיר in Aramaic). He also adds: “This puts to rest the argument that the Karaite prohibition on alcoholic wine during Hagh HaMassot was an invention of the Middle Ages” (although in a different place Qanai maintains that: “The word Shekhar refers to all types of intoxicating beverages. Wine can also be Shekhar, but, since the commandment already mentioned wine and forbids the consumption of Shekhar as well as wine, it is obviously referring to other types of Shekhar. Also since it list wine vinegar separately from Shekhar vinegar, the reference to Shekhar is obviously not to wine. The word Shekhar is found in other Semitic languages as well and almost always refers to other intoxicating beverages. In Jewish Aramaic Shkikra means intoxicating drink; in Imperial Aramaic it means beer, ale, mead; in Akkadian it is beer, fermented alcoholic beverage; in Syriac it is intoxicating drink, as also in Christian Palestininan Aramaic; in Mandæan it is intoxicating drink; in Arabic Sakar [سكر] intoxicating drink, wine, which developed into the loan-word in Greek σικερα [Síkera] meaning intoxicating drink, beer, which would have been made primarily from barley in contrast to Sove’ [סבא] which is beer made from wheat”). Perhaps the Rabinnic injunction to take four cups of wine at the Seder was instituted with the Sadducees (the alleged spiritual forbears of the Karaites) in mind (and assuming they too like the Karaites forbid the consumption of wine). In Rabbinic parlance: להוציא מלבן של צדוקים, literally to remove from the hearts of [those who would think like] the Sadducees. Scholars are of differing opinions as to what exactly -s-k-r שכר refers to. Some contend that it refers only to alcoholic wine, others contend that all intoxicating beverages fall under this category. Today most Karaite Jews 2 refrain from consuming wine on Passover because they consider it as falling under the prohibition against fermented foods. Qanai maintains: the Aramaic word HTM does not only mean “seal” but also “cut off”/“end”. The Torah command WeLo’ Yera’eh Lekha Hames WeLo’ Yera’eh Kekh Se’or BeKhol Gevulekha, i.e., anywhere within the boundaries of the land of Israel, whether in your house or outside of it. The term Lo Yera’eh Lekha does not mean just “it shall not be seen” but “it shall not be found”/“it shall not be present” with you. See Exodus 34:3. According to his understanding giving away your hametz to a gentile can only work outside the Land of Israel but not in the land since the verse says “in all your boundaries”. However, others understand it to have meant that it is simply an injunction to keep them completely out of sight. The Papyrus seems to support the latter understanding of the verse, i.e. get the hametz out of your houses and seal them away somewhere so they won’t be seen for the duration of the holiday. 2. The Crimean Karaites do consume wine. The relaxation of a prohibition that was apparently uniform among Karaites is claimed (by Hakham Qanai and others) to stem from Hakham Elijah Bashyatzi, a Byzantine Karaite who instituted far-reaching reforms that were very controversial for his time (although nowhere in his magnum opus, Aderet Eliyahu does he explicitly permit the consumption of wine). This is a modified repost that I made on a Facebook group, after having been directed towards this article. Speculating about the meaning of שכר in this context is not overly helpful since the word in not found within the papyrus; it is a conjectural emendation. I myself only noticed this after having read this blogpost, when I glanced at an image of the papyrus: itselfhttps://www.bibleodyssey.org/-/media/Images/Places/P/passover-papyrus.ashx (You can see אל תשתו at the start of the final line.) This led me to check out the cited sources, and indeed, Cowley himself plainly puts שכר within brackets! The Elephantine text is highly fragmentary; far more than what is indicated in the text cited in your post. While you cite the (modified) reconstructed text and its translation by Cowley, you do not include the brackets as found within hsi original work, allowing the reader to discern between the text as it stands and the conjectural reconstructions of what the text may have read in its lacunae. In the work upon which the translation is based on, שכר is placed within brackets. The text may just as easily have read יין, חלב, דם, or even קוקה קולה. Whether or not one regards wine as off-limits during the feast, this papyrus cannot be used to argue for or against either position. Thanks so much for your very insightful, informative, and kind comment. I guess I should have looked at it more carefully. I did assume that the word שכר appeared in the actual text. It certainly makes a lot of sense that it is referring to beer rather than wine. And thanks for pointing out the error-it has since been rectified. May I ask what fb group directed you here? Your post was linked to on the discussion board for “American Karaite Judaism”. Does not WordPress notify you whenever your material is linked to? It’s kind of obvious that it’s not wine. Wibe is not produced from a grain. It only deals with risen grain. What I’m confused about is matzo meal. It seems risen to me when they bame cakes. Anyone?